The project would target seven districts within the Orient Point community. Orient Point, NY - May 16, 2014 - County Executive Steve Bellone, Legislator Al Krupski and the Suffolk County Legislature announced the appropriation of $60,050 to develop an engineering report for the potential development of Suffolk County’s first ever wastewater treatment solution for existing neighborhoods. The project would target seven districts within the Orient Point community, potentially impacting 572 homes, resulting in a significant decrease of nitrogen pollution by 50% to 90. The project is part of the Reclaim Our Water initiative, a comprehensive plan presented by County Executive Steve Bellone to reduce nitrogen pollution in Suffolk’s ground and surface waters. New York State’s Department of Environmental Conservation May 2014 report confirms that unhealthy levels of nitrogen in our water leads to dangerous decreases in coastal defenses against damage from storms; diminished wildlife habitats and populations; negative trends in drinking water and diminished land values. According to Suffolk County’s Department of Economic Development and Planning, the two estuaries that surround Orient Point, the Peconic Estuary and the LI Sound Estuary, are each major shellfish propagation and harvesting areas. Shellfish naturally filter the water column and remove nitrogen pollution from the water. Excess nitrogen pollution in the Orient Point area has caused shellfish closures of three areas, two seasonal and one permanent. Peconic Green Growth, an environmental organization dedicated to the preservation and enhancement of natural resources, has developed a three-pronged approach toward educating the public on the benefits of decentralized cluster and single wastewater treatment solutions for existing communities. First, the organization conducted more than 550 surveys to assess public opinion on decentralized wastewater treatment issues. Second, the group created a series of maps to determine where the decentralized wastewater units would have maximum impact on nitrogen reduction. Third, was to advocate and develop management solutions for the potential funding necessary to develop a comprehensive engineering report. This project is funded through the ¼% sales tax Water Quality Protection and Restoration Program. More information on Peconic Green Growth’s three-pronged approach is located here. For more Suffolk County news, photos and videos, visit Steve Bellone on Facebook. 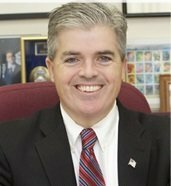 Subject: LongIsland.com - Your Name sent you Article details of "Bellone Announces Funds to Study Developing Decentralized Wastewater Treatment in Orient Point"